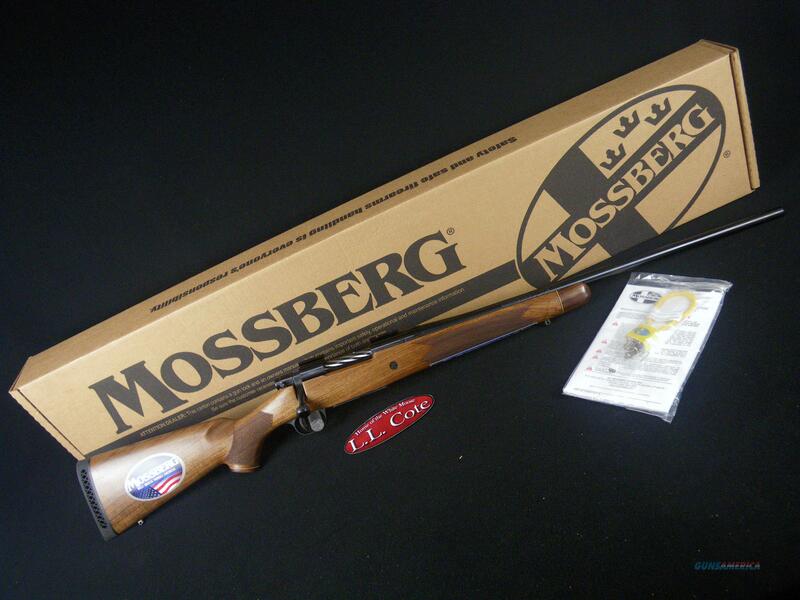 Description: You are bidding on a Mossberg Patriot Revere in 30-06 Sprg with a 24" barrel. The classically-styled Mossberg Patriot looks great on the gun rack and feels great when shouldered. Attractive, accurate and affordable, this bolt-action rifle comes standard with Mossberg's patented LBA trigger, user adjustable from 2 to 7 lbs. The spiral fluted bolt with a knurled handle offer plenty of grip for quick follow-up shots and enhanced shooter comfort, and its box-magazine-fed action makes loading and unloading a snap. The Patriot's button-rifled, free-floated barrels have a recessed crown for maximum accuracy. Displayed images are stock photos. Any questions please feel free to ask (our phone number is in the additional information tab above).